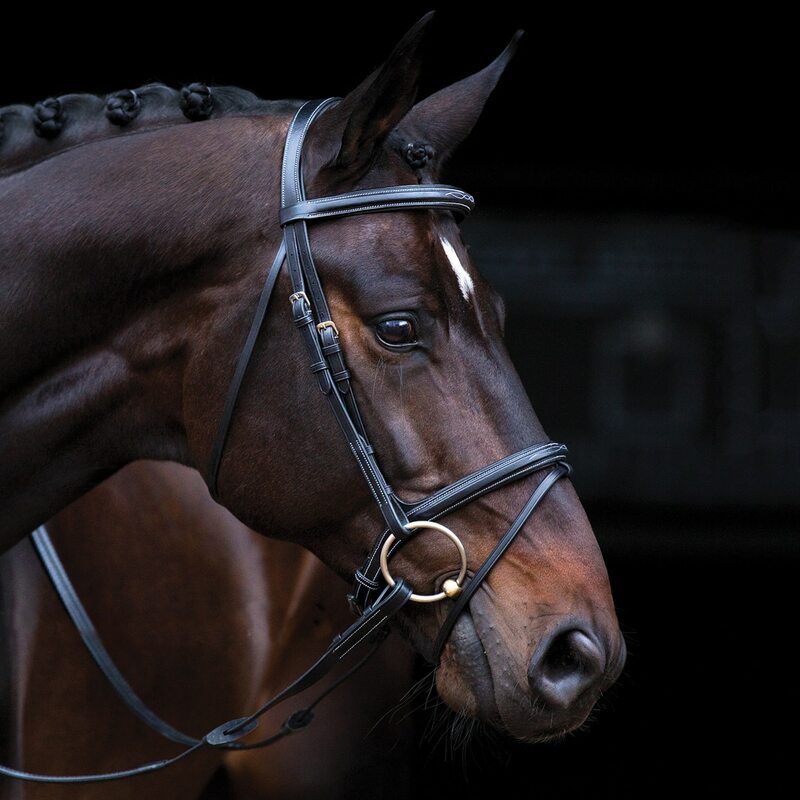 The Amigo Deluxe Bridle is thoughtfully designed to minimize pressure on the most sensitive areas of the horses head. This all leather bridle is very attractive with contrast stitching and classic styling that will look sharp in the ring. 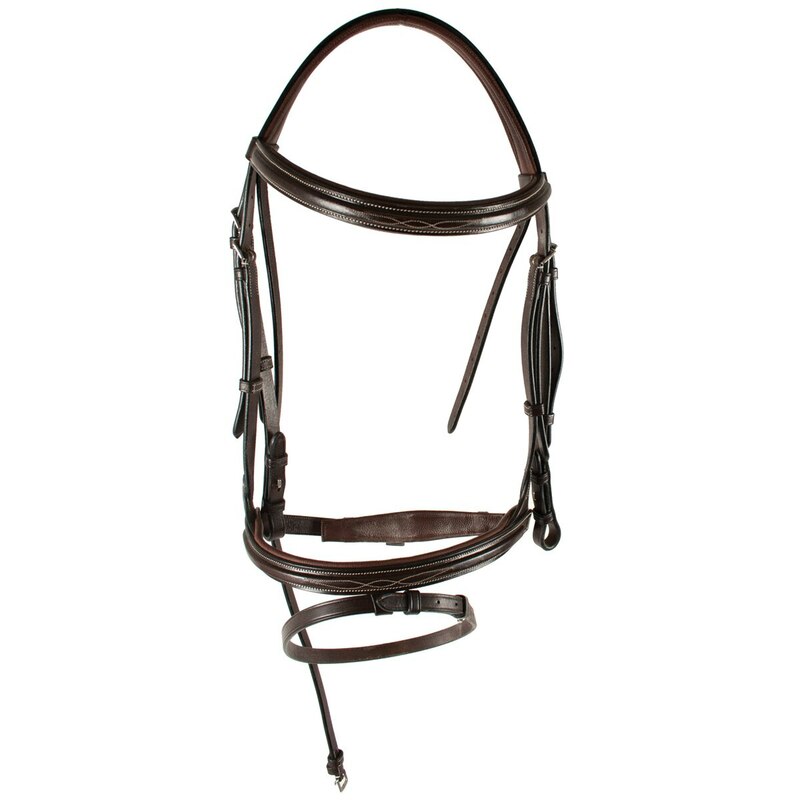 This bridle is completed with an all in one padded and shaped headpiece for comfort along with an angled throat-latch. Not only is this bridle a staple, it also comes with rubber reins.